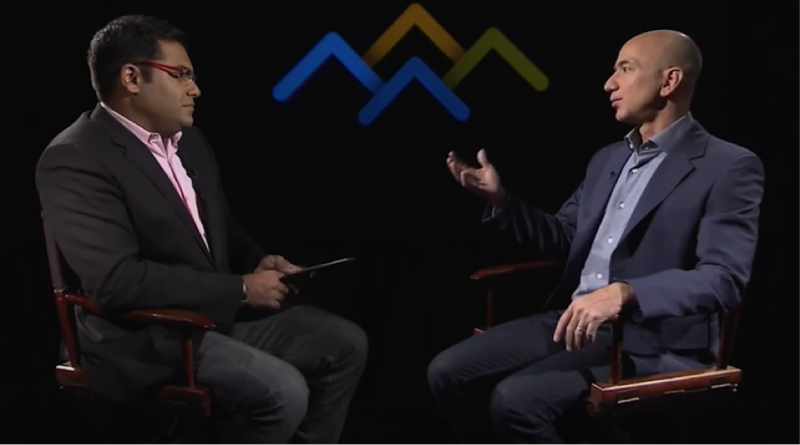 I recently watched a great interview with Jeff Bezos, the founder of Amazon. Amazon is an incredible company that grew from online book sales, CD sales, all retail sales, devices (like the firestick), automated warehousing, prime shipping, and so much more. Jeff Bezos has even spun out a rocket company, Blue Origin, which competes with Elon Musk’s SpaceX. Long-term thinking: They are in it for the long game. They optimize things that aren’t likely to change, like people wanting things less expensively and faster. Customer-Centric: The customer is at the center of all their thinking. As Warren Buffet says, Amazon knows how to delight customers. Invention Focused: They realize that new breakthroughs start small and they foster them. They make innovation core to their business. They realize they can’t prosper long term, just by milking the prize cows. He does some things that are common to GoogleX run by Astro Teller. They put milestones on a new invention and let people self-select what they will work on (maximizing passion). Amazon knows that every new business starts as a loss and grows slowly. A new $5M business in a $5B business is nothing. As a startup, $5M is a great start. They understand this. Jeff doesn’t think like most businesses. He is so customer-centric, he believes profitability is not their customer’s problem. He doesn’t make customer’s pay for Amazon’s inefficiencies. Amazon does price for profit margin; Amazon prices for price competitiveness. If they can’t figure out how to make money and be competitive, they will stop selling the product. Amazon worries about their customers, not their competition. Amazon knows that customer trust is hard earned and easily lost. They make hard promises like one-day delivery with Amazon Prime, and they keep it. There are many great lessons here for new and mature businesses. Buy the Potential book now.